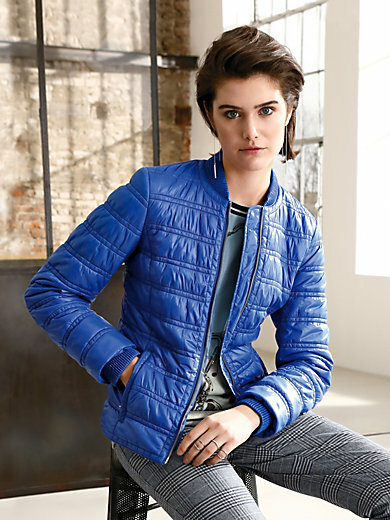 Quilted jacket by LOOXENT: lightweight piece in on-trend colour. With horizontal quilting and decorative ribbed cuffs and hem. 2-way zip fastener, 2 zipped pockets and a single inside pocket. Practical bag included for portable packing. 100% nylon. Lining and filling in 100% polyester. Length approx. 24ins. The quilted jacket is machine washable.